Four place settings consisting of 4 dinner plates, 4 cereal bowls, 4 mugs and 4 saucers. All are in really good condition with very little wear. Thanks to a kind reader who informed me the pattern was called Pumpkin. The pattern was designed by the famous Vera Neumann, for Island Worcester. 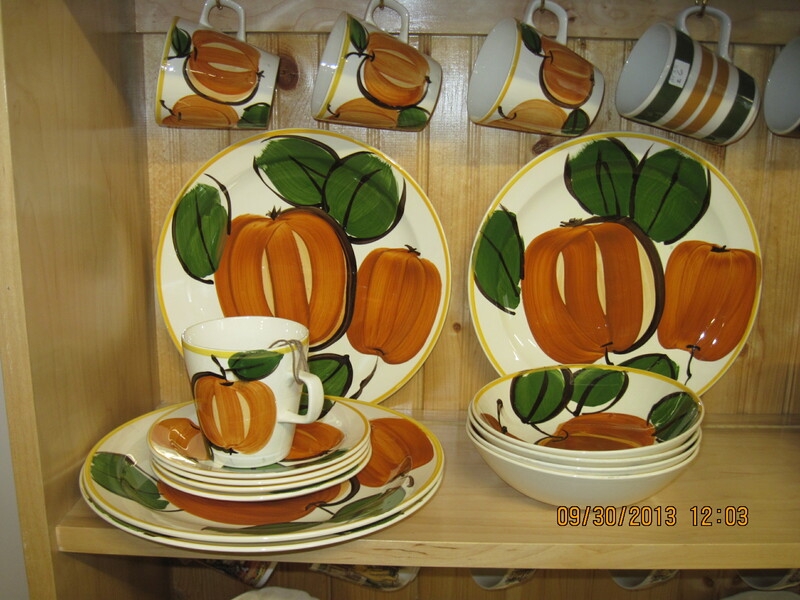 Dishes were hand painted in Jamaica ca. 1960’s. 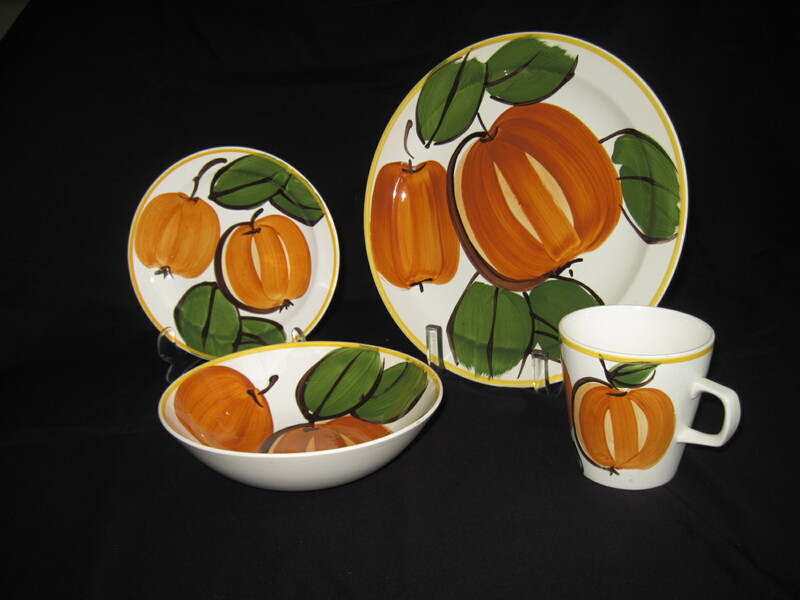 The dishes will be for sale at my booth at the Ottawa Antique Show Carleton University Fieldhouse, Oct 25th and 26th 2014.